By signing the Agreement, the Renter acknowledges that he/she has read these Conditions and will be bound by them. The Conditions and the Agreement are inseparable. All the drivers must be at least 21 years old and must have an experience of driving a car for at least 1 year. The driver must have valid driving license and passport. International driving license is required only in case the national driving licenses are not valid in Republic of Armenia or not given in Latin letters. Driver's license issued in countries that have signed the Vienna Convention are valid in the Republic of Armenia and the list of the countries you can find here. According to the Rental Agreement, only the Renter is authorized to drive Europcar vehicle. Any other person can be registered as an additional driver. Additional drivers must present valid driving license, passport. Additional fee will be charged for this service. 3) who is influenced by alcohol, narcotic or any other stuff affective consciousness or ability to react, or who is exhausted. Driving outside of Armenia is allowed only upon the prior written permission by authorized Europcar staff only. Such special permission must be added in Rental Agreement. Cars can be driven in the territory of Armenia and Nagorno Karabakh without prior permission. Such permission is necessary for driving to Georgia. Extra fee in amount 15 000 AMD applies for providing driving permission to Republic of Georgia. This is one time fee irrespective of the rental length. Such permission can be obtained at the time of rental. The Vehicle must be parked on the special areas appointed for parking. The Rental is fully responsible for the vehicle documents provided by Europcar staff. f) for carrying animals. Transportation of animals is permitted only on prior agreement with Europcar in specially designed cage. By signing the Rental Agreement, the Renter gives his/her authorization to Europcar to charge all costs occurring from completing of the Rental Agreement to his/her credit or charge card or any other method of payment accepted by the Lessor. Europcar has the right to pre-authorize the rental amount, deposit amount. The deposit amount is unblocked within 14-30 days after vehicle return. The Renter is responsible for covering the entire cost of the Rental Agreement even if he/she has listed a third party has the payer. Europcar Armenia accepts all the main types of credit cards: AMEX, VISA, Eurocard/Mastercard, Diner’s Club, as well as cash payments. The payments have to be made in AMD with the official rates set by the Central Bank of Armenia . The exchange rate may be different from the rate that was set by the bank tenant. 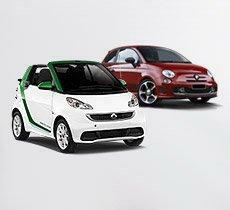 There are two types of insurance provided by Europcar Armenia. Standard and full package. The standard insurance package is already included in the rental price. This package includes: Collision Damage Waiver (CDW) which covers any kind of damage for a rented vehicle in result of an accident. TP (theft protection which covers the loss of the vehicle), insurance of the passenger, compulsory third part insurance. With standard insurance package, there is a deposit of 120 000 -200000AMD depending on rented vehicle group.This sum is the amount of maximum liability and presents the maximum risk of the tenant. With the full insurance package there is an charge in amount 7000 AMD and the maximum 50000AMD during the whole rental period. If Europcar and the Insurance company and the roadpolice are informed about the happening at the moment of accident or damage. If there is an act of the police and the security act. Rented car is delivered with full tank of petrol, and at the end of the rental it should be returned as it was. If renter does not return the car with full tank, Europcar shall charge the price of the missing fuel and the fee of the mileage performed with the purposes of refuelling. All fuel costs during the car's use shall be borne by renter. Some vehicles are equipped with alarm systems, for the sake of best safety. When renting the vehicle, customers obtain detailed information about the use. The charge of this service is included in rental fees. Europcar takes no responsibility for the property and objects of the Renter that has been left in the vehicle during its use. The Renter should inform about traffic accident, scratch, crash, theft of the Vehicle or its stolen parts and/or any other incident the Vehicle is involved without moving the vehicle from the place of the accident. The Renter is obliged to cooperate with Europcar and its insurance providers on the investigation of the traffic accident, theft and/or act of vandalism. If there are some obstacles as weather conditions, darkness, time and/or location of the Vehicle return, vehicle uncleanness and thus makes impossible for Europcar employees to define the loss of Vehicle parts and/or damages, then Europcar has the right to charge for loss or damage also after their discovery according to the clause «DAMAGES, ACCIDENTS, THEFT AND VANDALISM». In case any traffic or parking ticket arrives for the rental period, a copy of a ticket will be sent via e-mail and the amount will be charged from the Credit card of the Renter. He/she also should pay the interests, legal and administrative fees related to them. You can also make the reservation directly via e-mai: info@europcar.am . 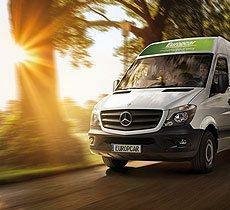 For more information please call (+374) 10 544 905 or email us to info@europcar.am . 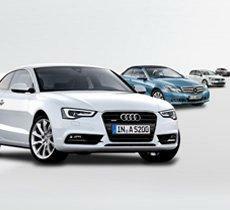 In case of long-term rental needs please call our sales team on (+374) 10 544 905 or email us to info@europcar.am . Have a nice stay in Armenia!